A Lotto Magic Mega Captain will have a monthly membership fee of $240 which might seem high to the average person, however a Mega Captain will be participating in all 3 lotto pools (Florida, Powerball, Mega-Millions) plus the monthly commission pay-out is 50% which is the same percentage as a Lotto Magic Team Captain or Power Captain so in the case of a Mega Captain you'll earn $120 for each personally sponsored team member. Personally sponsored is defined as them joining you through your Lotto Magic ID number. What does that mean to you as a Mega Captain? Well it comes down to you being at a "break-even" point with two (2) personally sponsored team members (2 x $120 earning per month and paying $240 per month) so with 2 people on your team your Lotto Magic membership is basically free. The best part of course is that for every personally sponsored Mega Captain after your first 2 you'll earn $120 per month for each new member. 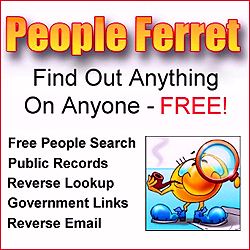 Based on my experience with higher cost programs of the past the new $240 a month Mega Captain position will attract the heavy hitters and bigger marketers out there who can email their list of thousands of followers, have a mere 100 people join them and then they start earning an immediate $12,000 a month. 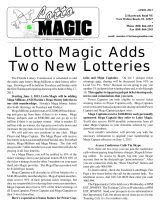 Click the link above or you can view previous Lotto Magic newsletter issues here. Have a nice night there! Update: As a Lotto Magic Mega Captain you'll also earn 50% from all personally sponsored Power Captains and Team Captains. When you sponsor a Team captain you'll earn $30 per month every month, sponsor a Power Captain and earn $60 per month every month. There's more - when they upgrade from Team Captain to Power Captain or from Power Captain to Mega Captain you'll earn even more since they're paying more for their upgraded positions. The example in the original post above talks only about a Mega Captain sponsoring another Mega Captain so I hope this makes it a little clearer.